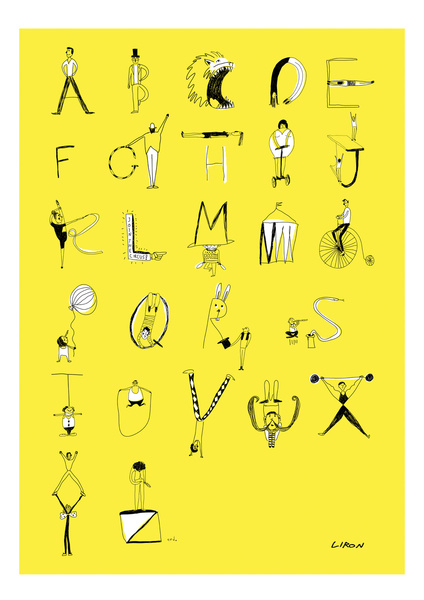 This silly portrayal of a circus-themed alphabet pops with a yellow background. Select Print Size: 8.0" x 10.0" 21.0" x 28.0"
By Liron Cohen. Printed on Giclée paper natural white, matte, ultra smooth, 100% cotton rag, acid and lignin free archival paper using Epson K3 archival inks.